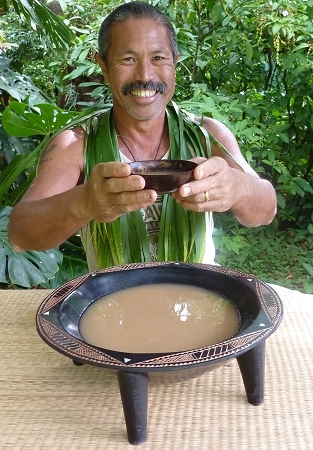 Uncle Kel serving kava from 14 inch bowl. 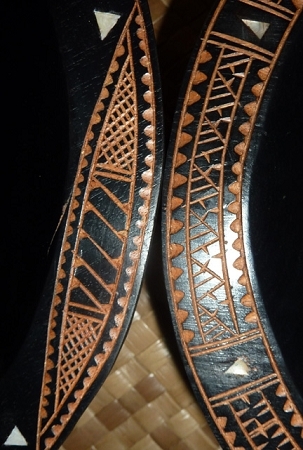 Serve your kava in style in a traditional Fijian bowl! 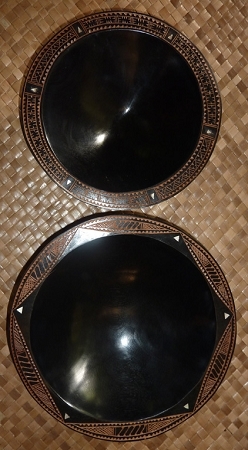 These hard carved tanoa, or kava bowls, are made of vesi wood by Fijian craftspeople in the same style used for thousands of years. Each bowl is unique and can contain small variations and tool marks made by the artist who created it. We have the natural unstained (not black) bowls in stock with a hand carved design around the rim. They rims also have mother of pearl insets.